Plot: After escaping an attack by what he claims was a 70-foot shark, Jonas Taylor must confront his fears to save those trapped in a sunken submersible. Starring: Ruby Rose, Jason Statham, Rainn Wilson, Robert Taylor. distributed by Warner Bros. «The Meg» in the US movie theaters released on August 10, 2018 and has grossed over $409 million worldwide; dvd and blu-ray release date was set for November 13, 2018. Rent from Netflix and Redbox from November 13, 2018. 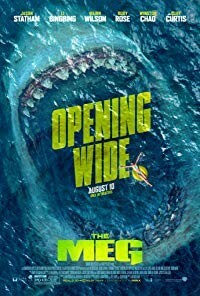 «The Meg» in the UK released in movie theaters on August 10, 2018. The movie released on dvd and blu-ray on December 10, 2018.